In Depth: Is China on Verge of Private Equity Implosion? 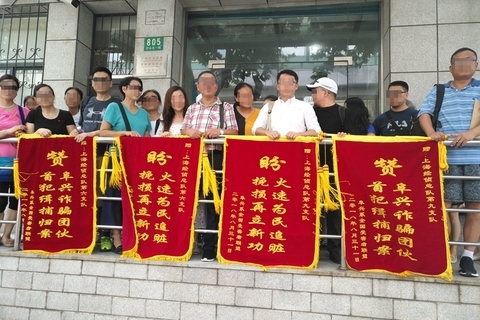 A group of unhappy investors arrived at the headquarters of Shanghai’s economic crimes police on the morning of Aug. 31 to deliver embroidered banners. The banners were intended for the team investigating the case of the Shanghai-based wealth management company Fuxing Group, whose chairman Zhu Yidong fled the country in June amid a cash crunch at the three private equity funds owned by his company. Zhu was eventually deported back to China Aug. 29 and is under investigation. The three Fuxing Group funds issued more than 150 wealth-management products and are estimated to be short nearly 24 billion yuan ($3.5 billion) for repaying liabilities. The investors delivering the pennants were some of the company’s many victims. The Fuxing Group case is emblematic of an industry that could soon implode the way China’s peer-to-peer lending industry has done, thanks to a combination of shady practices and external economic pressures. The country’s private equity industry operates under a set of rules unique to China that inherently increase risk for investors and the financial system, legal and industry experts told Caixin. Increasing numbers of private equity funds have exploited legal loopholes and have begun to act like investment banks and other types of traditional financial institutions, exposing their clients to magnified risk — a situation regulators are hoping to change. But while authorities are focusing on raising the bar for entering the private equity business, some industry insiders argue for more stringent supervision and for greater sophistication among investors. Private equity firms have experienced explosive growth in China after the first products were offered in 2003. As of June 2018, there were 23,903 registered private equity fund managers in the country, according to the Asset Management Association of China (AMAC). Private equity firms in China usually set up one or more funds for each project, while the opposite is true in the U.S., where a single fund usually invests in multiple projects. This is because some investors want fund managers to set up funds not only with a certain investment strategy, but also with specific investment projects or objectives in mind, Guo Lizheng, a partner at the Chinese law firm Grandall, told Caixin. Additionally, fund managers are often asked to provide additional details when filing applications with Chinese regulators if their list of investment targets isn’t specific enough, Guo said. So, in practice, private equity firms often issue at least one product for each project. 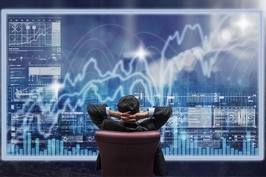 This practice creates greater risk for investors and the financial system. These businesses claim to be wealth managers but are actually intermediary businesses conducting financing for a single project, putting all of a fund’s eggs in a single basket and increasing the concentration of risk and the ease of contagion, Hong Lei, chairman of the AMAC, said at an industry forum in July. Chinese private equity funds also tend to have shorter partnership terms — usually one to two years — compared with the 10 or more years that are the norm abroad. “Short-term private equity funds are often examples of debt disguised as equity,” Guo told Caixin. In the way they operate, these funds are essentially taking out short-term loans, he said. Another unusual characteristic of Chinese private equity funds is how many products a single company might issue — frequently more than 100. China Science & Merchants Investment Management Group Co. Ltd., for instance, has registered 140 products with industry association AMAC, while Kunwu Jiuding Investment Holdings Co. Ltd. has 213 registered products. Private equity firms offering such a large number of products are rare in mature capital markets. Chinese private equity firms issue multiple products over a period of time focused on the same project or the same strategy, a practice that is banned in the U.S. to prevent conflicts of interests and Ponzi schemes. Firms behaving in this way are “setting traps for themselves,” Qin Maoxian, a partner in the Chinese law firm Jingtian & Gongcheng, told Caixin. “If there is a good project, should fund A or fund B (from the same company) be allowed to invest in it? When you simultaneously launch multiple funds of the same category, a conflict of interest is inevitable,” Qin said. But Chinese regulations limit the number of participants in each private equity fund to 200, making it difficult for firms to avoid opening new funds in the same category once one fund has reached the 200-participant limit, the president of a Beijing-based private equity firm told Caixin. In China most private equity fund investors are individuals, unlike the institutions that make up the bulk of investors in more mature markets, meaning companies frequently find that demand for their products exceeds the official quota. In mature capital markets, private equity funds are highly regarded, not only because of their high investment thresholds and reputations for professionalism, but also for their low correlation with other asset classes, meaning they can effectively withstand fluctuations in the economic cycle, benefiting investors in the long term. 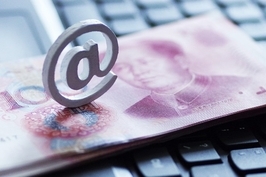 In China, however, many private equity funds actually behave like banks and other traditional financial institutions, but without the supervision to which these institutions are usually subject, thanks to a combination of regulatory oversight and restrictive regulation in other areas, an industry insider told Caixin. In addition to short-term funds that essentially operate as project financing vehicles, some private equity firms have even openly sold products to customers as “investment banking-style capital management,” including industry leaders like Kunwu Jiuding and Blue Stone Investment. Many companies are limited by China’s strict licensing requirements for securities companies and turn into private equity funds, which are more loosely regulated, the industry source said. As a result, China has no more than 100 securities companies but more than 23,000 registered private equity fund management firms. As a result of crises like the Fuxing scandal, Chinese regulators have become increasingly worried about supervision of private equity funds. Local governments from Guangzhou in China’s south to its capital Beijing have hit the brakes on the private equity sector in recent years. Guangzhou recently suspended the registration of all such funds, a lawyer specializing in private equity told Caixin. Meanwhile, Beijing, Shanghai, and Shenzhen have years-old rules against the registration of finance-related businesses with keywords like “project investment” and “equity investment” in their applications, the lawyer said. China’s central securities authority, the China Securities Regulatory Commission (CSRC), sets the national policies governing private equity funds, while regional CSRC branches assist local governments in implementing policies. Supervisory authorities are considering “raising the entry criteria and rethinking the registration system” for the industry, a person close to China’s financial regulators told Caixin. “Not everyone who wants to open a private equity fund should be able to do so,” the person said. But many in the industry are wary of an overhaul of the registration system, which simply requires new private equity funds to submit filings describing their operations instead of going through a more stringent approval process. One key point, the staffer said, was to implement function-based supervision as the U.S. does. As long as a company is engaged in the private equity business and raises funds from U.S. investors, it must register with the Securities and Exchange Commission as a private fund manager, regardless of whether it is a securities company or another type of company by name. “There is no distinction in regulatory standards, eliminating regulatory arbitrage,” the staffer said. In addition to risky behavior by fund managers and regulatory shortcomings, China’s private equity fund industry also suffers from poor investor education, experts said. Many private investors in China lack a clear understanding of laws and regulations and don’t have the means to protect their rights and interests, Guo told Caixin. Instead, they rely on petitioning regulatory authorities to take action, he said. “Investment should be done cautiously,” Qin of Jingtian & Gongcheng said. 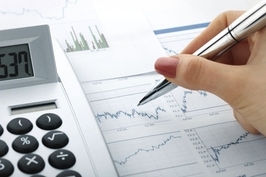 Mature investors would hire professional institutions to conduct due diligence on fund managers before investing and set up provisions in contracts to protect their interests, Qin told Caixin. The problem is that many investors in China currently lack professional awareness, he said.